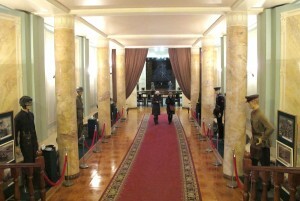 The Central Museum of the Armed Forces, especially the Hall of Victory. 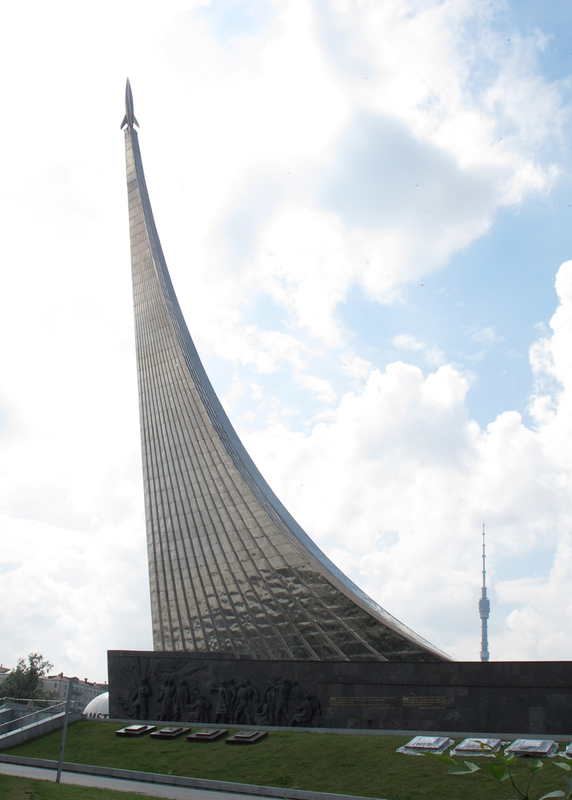 This celebrates the glory days of the USSR and gives a fascinating perspective on how the Soviet Union saw its greatest triumph. 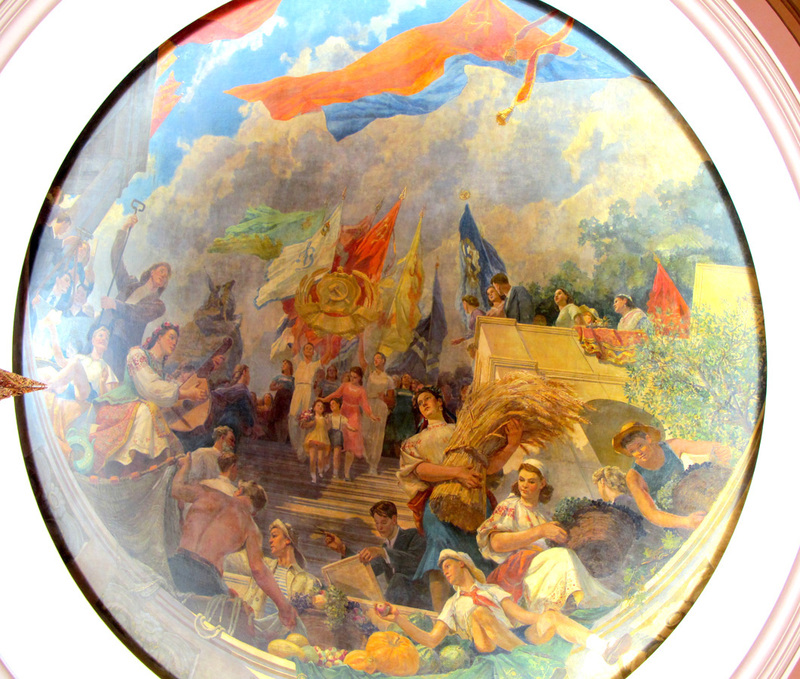 Sacred icons on display include the Banner of Victory from the Reichstag and captured Nazi banners used in the 1945 victory parade. The wonderful Monument to the Conquerors of Space is a glorious soaring titanium monument to the Cosmonauts. 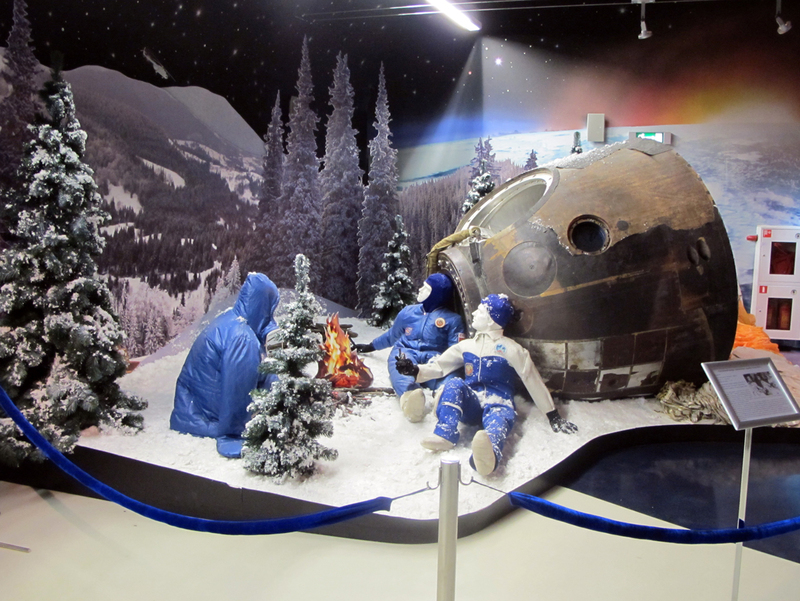 Nearby is the Memorial Museum of Cosmonautics. 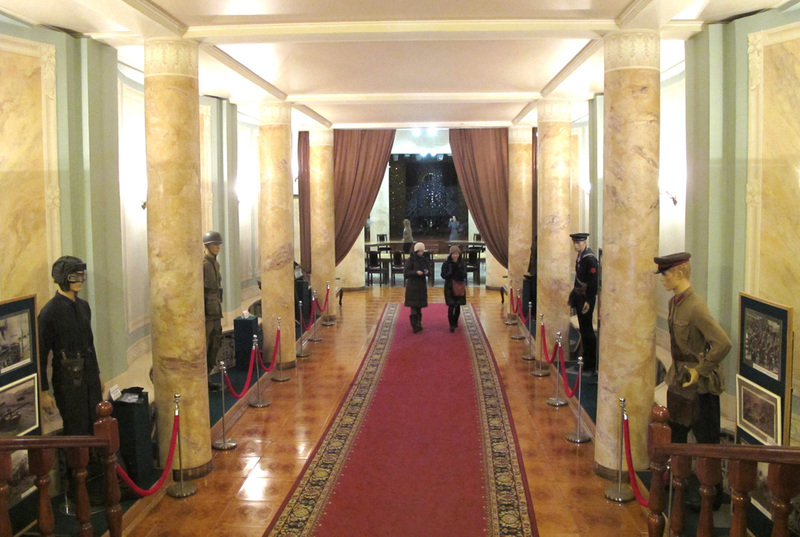 The sprawling Bunker 42 nuclear bunker deep under Taganskaya Hill is an authentic Soviet era nuclear command and control post, where 650 staff were in lock-down during the Cuban Missile Crisis. 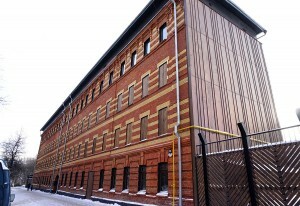 The State Museum of Gulag History has moved into a new building at 1st Samotechny per., 9. 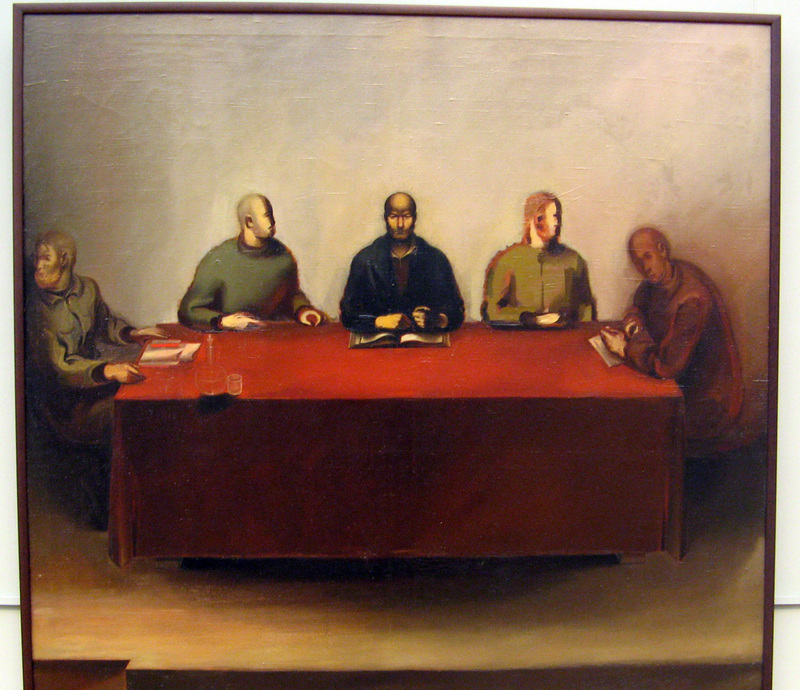 It provide a grimly interesting overview of the history of the Gulag prison system. 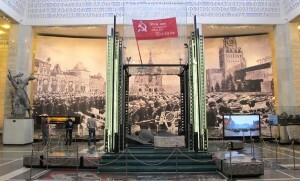 The VDNKh Exhibition Center was a Soviet showcase and is full of elegant pavilions dedicated to specific SSRs. 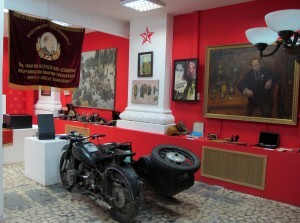 Pavilion #2 hosts the small and quirky Museum of the USSR. The excellent Museum of Contemporary History (formerly the Museum of the Revolution) at 21 Ul Tverskaya provides thorough coverage of Soviet history from the October Revolution up to 1991. During the Soviet era this was “the” Soviet history museum. Open 10-6 Tue-Sun. 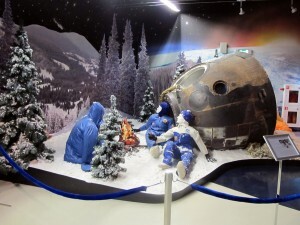 It has a great souvenir shop. 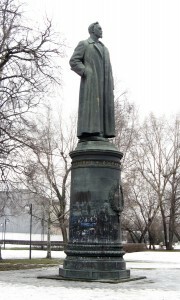 The Tretyakov Sculture Garden hosts many discarded Soviet statues, including the Felix Dzerzhinsky from Lubyanka Square. 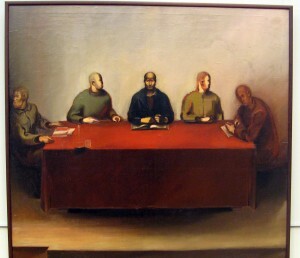 The adjacent New Tretyakov Gallery is the home for many of the best Soviet-era paintings. 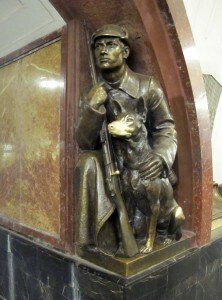 Among the Metro stations my favorite is Ploshchad Revolutsii, with its many heroic bronzes, including the pioneer dog with his much stroked lucky nose, but there are also some great Socialist Realism ceiling murals & mosaics at Kievskaya, Belorusskaya, and Komsomolskaya. 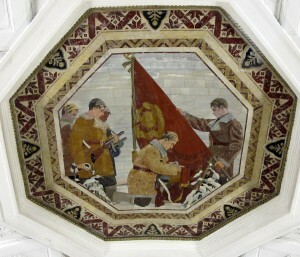 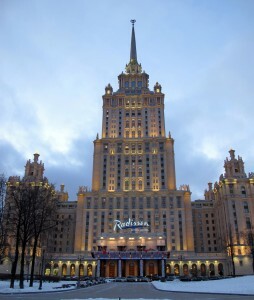 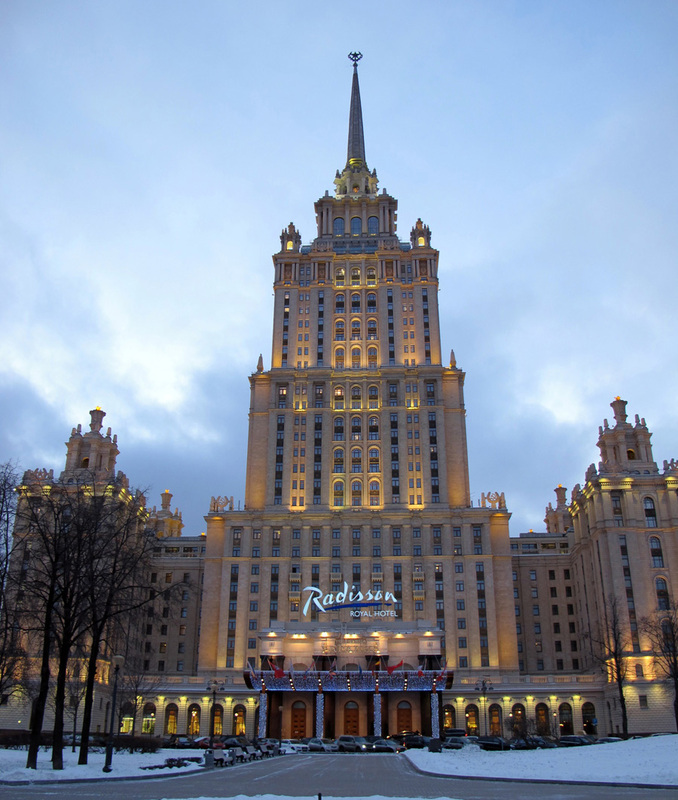 Moscow State University is perhaps the most impressive of the Stalin-era Seven Sisters skyscrapers, but the easiest to visit is the over-the-top Hotel Ukrainia (now gorgeously restored as the Radisson Royal) whose super-swanky lobby boasts a grand Ukrainian ceiling mural.